This is a powerhouse of nutrients! It’s a wonderful meal on its own or fun to bring to a potluck! 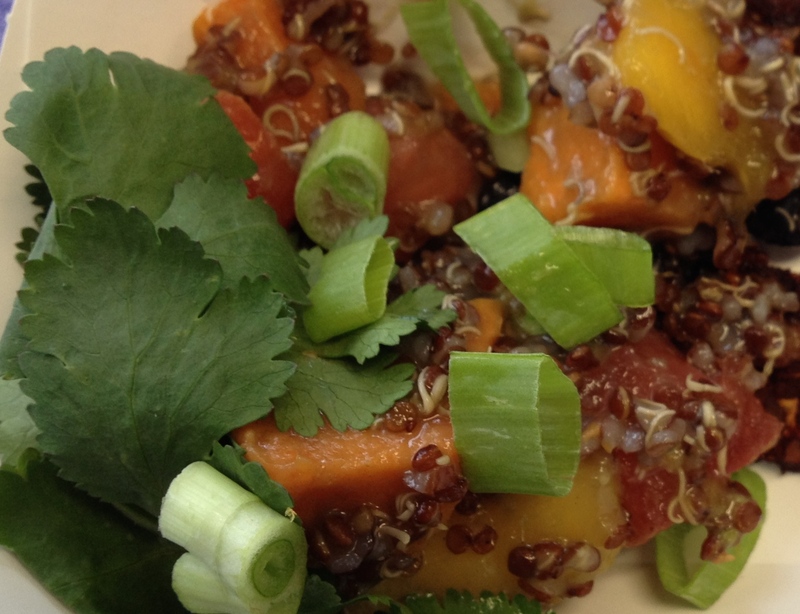 At a recent cooking class, I discovered a delicious combination of a powerhouse of nutrients: sweet potato, mango, black beans and quinoa! WOW! And because I also like to play around with flavors I came up with this version of a sweet potato salad which is inspired by Rip Esselstyn’s Sweet Potato Bowl from the Engine 2 Diet. It’s absolutely delicious, very easy to put together and it’s one of those choices that by adding it to a bed of spinach or mixed greens it’s a salad that becomes a complete balanced meal. If you want to eat this as a warm bowl meal, leave out the salad greens, heat the sweet potatoes, quinoa, and black beans in the microwave for a few minutes. This is an absolute snap to put together when all the ingredients are prepped and ready to go. Seriously, it will take you 10 minutes max. This recipe amount serves 2. 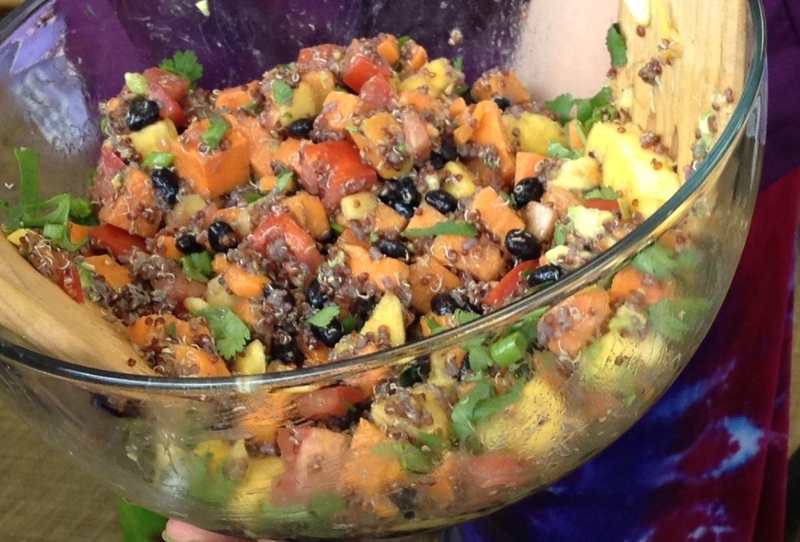 Combine the listed ingredients in a large bowl and gently toss. Add the green onions and optional cilantro for garnish and serve. When preparing this dish to serve at a potluck or for a later meal, I like to leave the tomato and garnish to add just prior to serving.